Individuals who own both a Model S and the right type of wearable technology will now enjoy added features. While the number of people to whom this wearable technology news will apply, at the moment, is rather slim, as it will require them to drive Tesla Model S vehicles and wear smartwatches based on the Android Wear platform, it is still a fascinating development. This use of wearables could represent a look into the future for many vehicle owners and device users. The hack of the smartwatches was accomplished by Harth Labs, which found that Wear closely reflects the Tesla app that is available for that auto manufacturer’s Model S vehicle. This makes it possible for wearable technology devices to be able to open and close the sunroof, to unlock the doors, and even to make the horn honk. At the moment, those are all of the features that can be controlled by the high tech wristwatches, but it likely won’t be long before devs are able to work their way into climate control, location data, and even charging commands – should Tesla provide them with the tools that they require to do so. This could be an indication of the types of things that smartwatches will be used to do in the not too distant future. For the moment, this news is limited to a group of specific early adopters who love their tech. 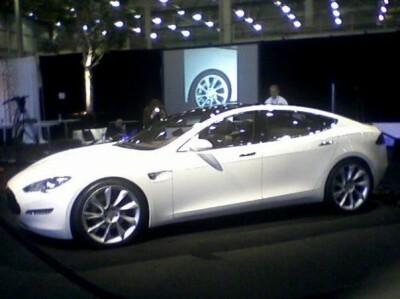 The Tesla Model S does happen to be a relatively popular vehicle among members of the technology community. A Bnotion team have now come up with an app compatible with Android Wear that makes it possible for some features to be controlled through wearable technology. While some may argue that this isn’t all that useful, others feel that being able to remotely control additional vehicle features – such as shutting the sunroof if it suddenly starts to rain – could be quite helpful as it wouldn’t require the vehicle owner to head out in the rain to do it. That said, others feel that, more than anything, owning both of these pieces of technology and being able to use them at the same time is more about bragging rights than anything else. The app for the smartwatches is not the first to control the Tesla Model S, as there has already been one for Google Glass that controls the same features in the vehicle.